We are taught a lot of things at school but one of the things often missed out is education about how to handle personal finance. That’s fine for some people who have a good awareness of how to budget, but not so good for those of us who don’t have a natural affinity with the financial side of life. However, it’s extremely important to manage your money wisely so that you can make the best decisions for sensibly coping with your daily and monthly expenditure, avoid getting into debt, and thus get the very most out of your money. Being financially able to make your way forward in life and have peace of mind as far as your money is concerned, can be rather a minefield. However, there are mobile apps covering just everything these days and finance apps are no exception. The App Store has plenty of options, and we’ve been looking at many of the most highly recommended ones to see what they have to offer. We’ve narrowed those down to our choice of the best money apps on iPhone for budgeting and personal finance. These all worked smoothly in our testing and had multiple features to take advantage of. If you want to get ahead as far as your money is concerned, why not start using one or more of these apps today to help you control your finances. There’s a mixture here of free, free with in-app purchases (IAP), and reasonably priced paid apps, and all are available on Apple’s App Store. It’s always good to find a decent app that’s free to both download and use without any in-app purchases. Money from iBear used to be a paid app but it’s now free, and we found it to be extremely comprehensive. It enables you to control your finances, budget your income and expenses with the use of detailed categories, and track your accounts such as savings, checking, and credit cards. If you often make late payments, this app uses a system of alerts and reminders so that you should be able to pay your bills in a more timely fashion! Data can be synced across iPhone, iPad, and iMac and further features include password protection, data backups, a built-in calculator and more. The user interface is not one of the most appealing we’ve seen, but other than that there’s plenty to recommend about this app. We should point out that there’s a free version of this app called HomeBudget Lite that you might want to try out first. However, the free version has limitations, and this slick paid version is definitely worth the upgrade, as attested by its high 4.9/5 user rating on the App Store. One of the neat highlights of this app is the Family Sync feature, which enables an exchange of expense and income details from different devices in one household working within the same budget. You can track expenses, income, account balances, and bills due for payment, and the app also offers expense and income analysis with handy graphs and charts. The app is hugely comprehensive, and features include the ability to attach photo images or receipts, multiple currency support, automatic exchange rate conversion, calendar and list view of bills, budget rollover, support for various accounts, and reports. SilverWiz, the developers of this app, claim that it offers all-in-one finance software, and having checked it out we can agree with that. It offers worldwide online banking and acts as a central hub for all of your accounts, bills, and budgeting. Just about the only drawback is that if you want to link the app to your bank for automatic transactions downloading, you’ll need the in-app paid subscription that costs $4.99 per month, although many users might think that’s money well spent. Features of the app include instant syncing between devices, an overview dashboard, bill forecasting and reminders, and budget monitoring, and transactions can be entered with configurable settings for each field. The app also provides reports based on what you want to find out about your personal finance, with perspectives on earnings and spending. Overall, this is an excellent app, and it has a nice clear user interface. Mint is highly rated by users on the App Store, gaining a massive 4.7/5 stars. That’s not a surprise as the app makes it easy to manage your money and see exactly where you are with your finances. You’ll find savings tips, easy budget creation based on your spending, a free credit score, payment schedule, and bill pay reminders to avoid late fees, and the app can be synced with the desktop version of the app. Security measures include multi-factor authentication, and the app runs really smoothly and is easy to navigate. Clarity Money has many of the features you’d expect from other personal finance apps such as budget planning, tracking of spending and expenses, and managing accounts, and also has some other useful features. For example, if you’re looking to save money, you can quickly cancel monthly subscriptions that you no longer want, and the app will give you information about which might be the best credit card for you based on your usual spending patterns. It also offers discounts and coupons, and another bonus is that you can unlock your free Experian VantageScore Credit Score. This well-recommended user-friendly app will help you to balance your money and track a daily budget. The app can scan your receipts, and the Review feature gives good insight on where your money is going so you can adapt your spending behavior for a better financial future. If you have enabled location services on your iPhone, you simply need to enter the amount of any spend, and the app will identify the venue and categorize the expenditure. Wally also offers a personal touch as it learns from you and with you through the use of artificial intelligence, algorithms, and machine learning. Honeyfi takes an interesting approach as it’s aimed purely at couples who want to manage their money as a couple rather than independently. While that might not be for everybody, there are plenty of people will find this app extremely useful as it offers convenient financial collaboration with your partner by linking accounts to the app. It will allow you to organize the household finances easily and will suggest a household budget based on the previous spending, and then track your spending against that budget. This all helps you to spend mindfully, and you can be sure that your personal finance information is kept secure and encrypted thanks to bank-level security. This app is a little different, and it’s especially suited to people who lend a lot to others or vice versa. If you find you can’t say no to friends and family asking for loans, (or perhaps you’re the one doing the asking) this is an invaluable tool that will help you to keep track of debts, payments, and loaned items. You can easily enter money you’ve loaned or borrowed as well as non-monetary items such as DVDs or books. You can also keep a record or partial payments and settled debts, so you know when people have paid you back, or if you still owe money or a borrowed item yourself. The app features notifications for overdue debts, debt sharing, photo attachments, the sending of an email or SMS to debtors, and password or Touch ID protection, and it can lessen the embarrassment of being caught not paying something back or having to chase a friend or family member for money. 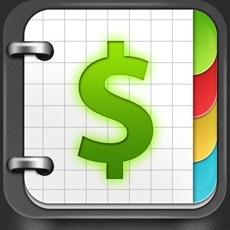 This everyday money tracker app avoids complicated charts, diagrams, and graphs and is designed for ease of use. It’s nicely simple with a clean and appealing interface that allows for easy entry of expenses, and then to quickly see how this affects your budget. There’s a lot of flexibility for creating budgets, with options of weekly, bi-weekly, monthly, twice-monthly, one-offs and more, and those budgets can then be backed up and synced across devices using iCloud. The app also supports multiple currencies, 3D Touch, and a Pennies Today widget. Digit really comes into its own for those who want to save money with as little effort as possible. The app automatically looks at your income and spending to see where savings can be made, and can then move money to the Digit account from your checking account. If it concerns you that it might transfer more than you can afford, there’s a no-overdraft guarantee so that won’t happen, and it’s claimed to have saved more than 500 million dollars for users so far. Money can be withdrawn from your Digit savings account at any time, and there are no account minimums and unlimited transfers allowed. On top of all that, you’ll automatically receive a Savings Bonus of 1% (current amount) with a reward every three months. The app is free to try for a limited trial period, which is long enough to decide if you want to continue afterward with a monthly subscription of $2.99. 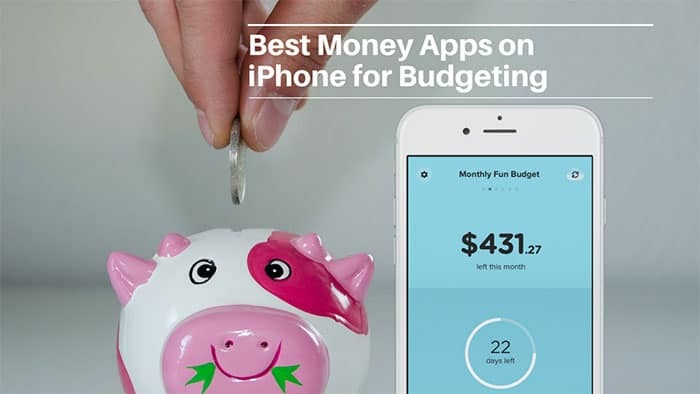 If you struggle to keep on top of your personal finances or simply want to improve your budgeting, any of these apps have something to offer. Whether you want to save for a major item, are planning a big event, want to manage your daily expenditure, or just wonder where your money goes, our choice of best money apps on iPhone offers something for everyone, with everything you need at your fingertips. Using an app means it will be far easier and quicker to manage your money, and if you find any of these apps particularly useful, do let us know in the comments section.